Stage 1: See multiple photos of some mystery dress posted by friends to Facebook. Note that the dress is decidedly white and gold. Ponder at the idiocy of all of the people seeing blue and black. Wonder if there is some kind of coordinated hoax going on, or if there really are that many people in this world with vision inferior to your own. Stage 2: Contemplate the chapter in your Abnormal Psych textbook on “shared delusions.” Consider the idea that the #teamblackblue people are merely sheep, coaxed into conforming by some deep-seeded need for acceptance and the very fleeting nature of objective reality because dammit, that dress is white and gold. For sure. Stage 3: Step away from the Internet. Do normal life things like eating dinner and checking to make sure the DVR is recording Scandal. Forget about the troubling existential questions raised by the obviously white and gold dress for a brief moment. Step 4: Open facebook. 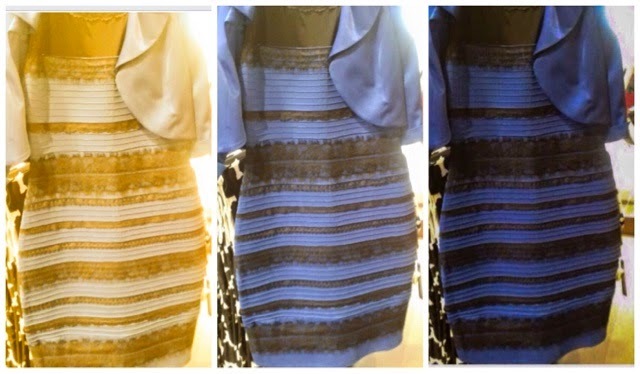 See multiple photos of a dress that is clearly blue and black. QUESTION EVERYTHING YOU KNOW. Is God real? Is this really a chair? Is Charlie Hunnam really hot or have I just been fooled into believing a lie? Consider shaving your head and bashing an umbrella into the back of a stranger’s car. Stage 5: In your moment of crisis, seek validation from your spouse, who informs you the dress is white and gold and scoffs at your assertion that it is blue and black. Feel a heady sense of both disdain and superiority to your spouse who just has no freaking clue of the existential mess this dress will soon wreak on his life. Stage 5: Scour the Internet for explanations. Search the hashtag. Read science-y things. Consult a shaman. Ask your child’s Magic 8 Ball. Light a fragrant offering to the gods. Tear your clothes and wear sackcloth and ashes. Weep. Gnash your teeth. Pray for wisdom. Stage 6: Make a collage. Surely a collage will solve all mystery here. Stage 7: Realize the collage solves nothing. Curse the makers of this dress, the owners of this dress, the photographer of this dress, and the manufacturer of the crappy cares that took this picture. Stage 9: Assuage your anger with Girl Scout cookies. Realize the kids ate all of them and only left those nasty shortbread ones. Experience renewed rage. Stage 10: Search Pinterest for some artfully scripted inspirational quote that will give you the strength to continue in this life so full of confusion and anxiety. 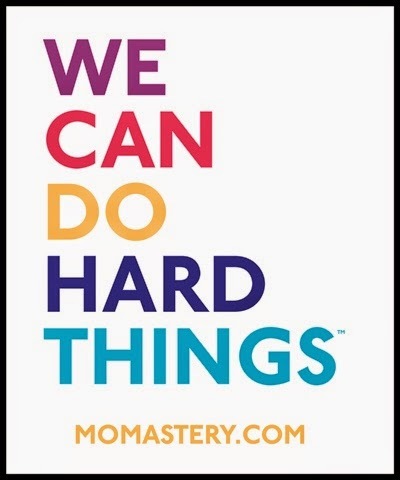 We can, you guys. We can pull through this. Stage 11: Google search pictures of Charlie Hunnam and revel in the one sure thing you know. Homeboy is hot for real.